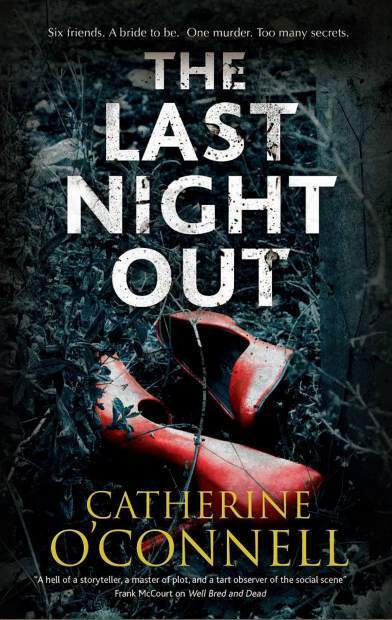 Catherine O’Connell, the Aspen-based novelist behind the High Society Mystery series, will read and sign her new stand-alone mystery “The Last Night Out” on Sept. 27 at Bookbinders Basalt. The novel, published Sept. 1, is written in the form of a memoir by the fictional Maggie Trueheart. It opens with a brief prologue set in the present day at the Benedict Music Tent here in Aspen, where Trueheart is watching an orchestral concert. A young, late-arriving cellist — presumably dooming a career in music by disrespecting the symphony and conductor — leads her to begin musing over her own youthful missteps a quarter century earlier and how they shaped her life. From there, the action shifts to Chicago in 1988, where after Trueheart’s wild bachelorette party she finds herself in bed with a stranger. She soon learns one of her friends was killed during the course of the night. In the next two weeks leading up to her wedding, as a detective looks for the murderer, she and five friends fall under suspicion. The book returns to the Roaring Fork Valley in an epilogue. The small dose of local flavor in “The Last Night Out” is a preview of things to come from O’Connell, a longtime local and board member at Aspen Words and English in Action. Her next book, “First Tracks,” centers on a female Aspen Mountain ski patroller attempting to solve a murder mystery on the mountain. It is scheduled to be published in late March. The Bookbinders event is scheduled to begin at 5 p.m.